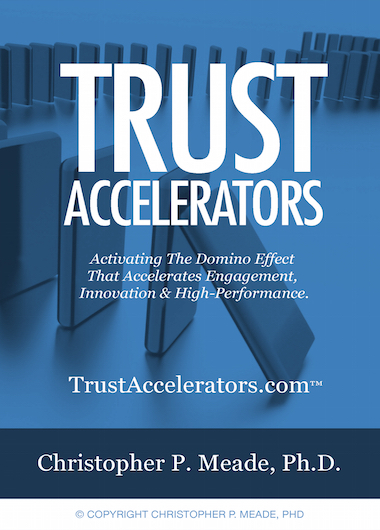 Trust Accelerators: Activating The Domino Effect That Accelerates Team Engagement, Innovation and High-Performance. Trust Accelerators™ shows how trust is the foundation of effective relationships leading to exceptional business outcomes. 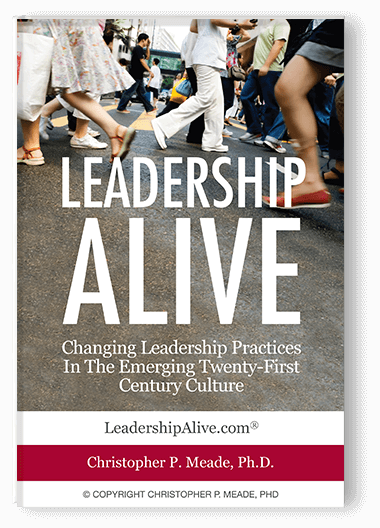 It unpacks the core “accelerators” that catalyze a culture of trust that permeates into a team. 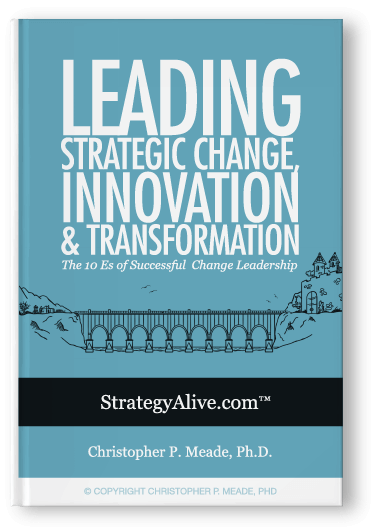 Like a domino effect that sets off a chain reaction, Trust Accelerators™ trigger a ripple effect within a team and organization that galvanize a group into a high-performing, health team. 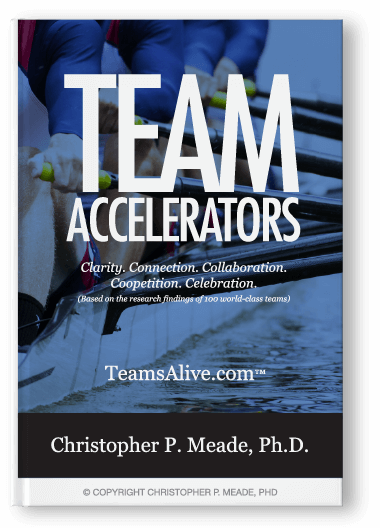 Leveraging Trust Accelerators™ is formula for competitive advantage in today’s new economy. 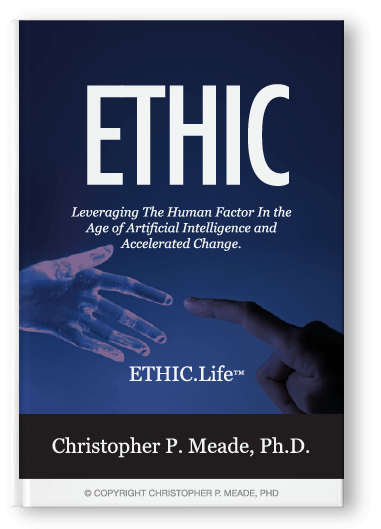 Author, Christopher Meade, PhD, unpacks these accelerators (trust behaviors and agreements) that are part of every great team and company. A team that doesn’t trust each other is really just a group of individuals that work on tasks but never reach their full potential. They cannot bring forth exceptional results as team. 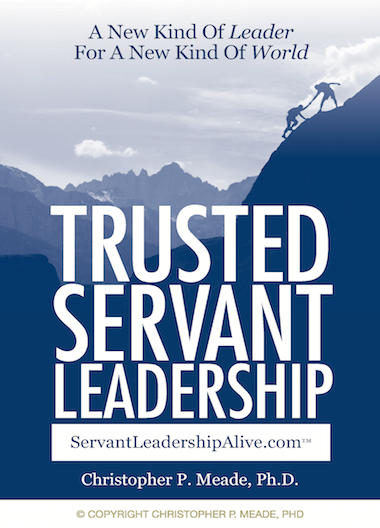 The bottom line: Low-trust teams don‘t perform well or produce exceptional business outcomes. Low-trust teams argue over roles and responsibilities. They don’t consistently cooperate or collaborate with each other. Riffs form. Confidence is overshadowed by doubt. 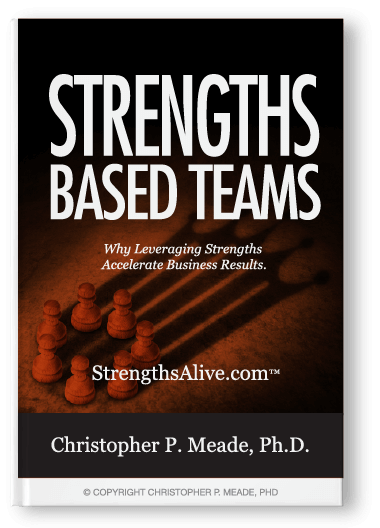 The team environment weakens. Everything begins to take longer and becomes harder. 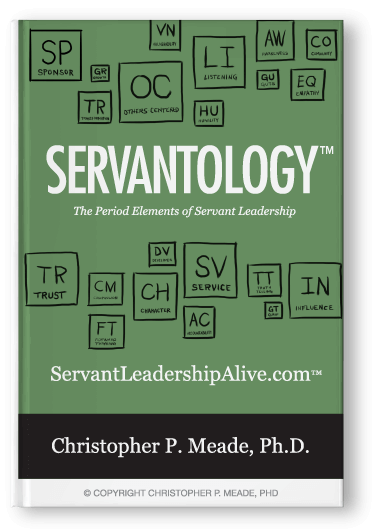 Commitment, productivity, innovation and team engagement all suffer because trust is absent from the mix. Trust is the cornerstone of engagement. Teams with high-trust connect, collaborate and allow team members to do their best work together. They support one another. They work smarter, faster and accomplish more. Business results are achieved through relationships. Authentic relationships are built on trust. Teams do their best work in a workplace that has a culture of trust build into it. Bottom line: Trust makes teams work because trust builds the bridge between the business need for results and the human need for connection.nglish. 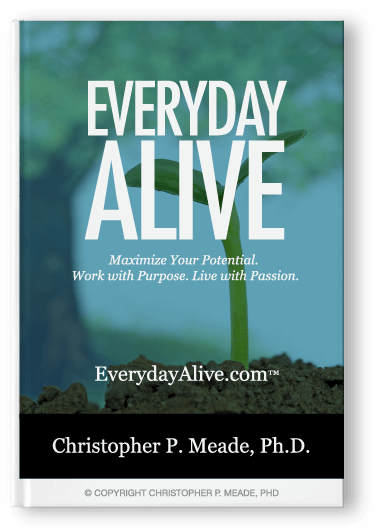 Our eBooks are geared to the working professionals who have time constraints and work and life demands on them, yet still want to accelerate their learning. Shorter In Length – eBooks are concise, get to the point faster and mine out the key gems of learning. They not executive book summaries but they are shorter than a 200-page paperback. 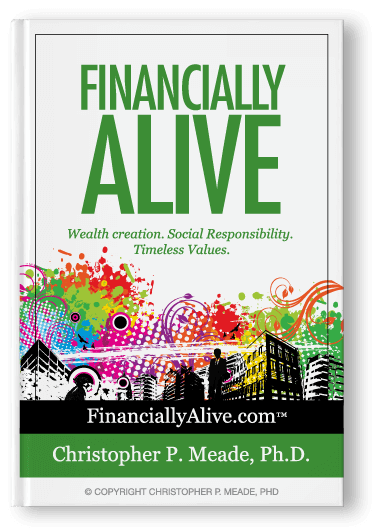 Digital – Take it with you on your phone or device so you can read on the go. Lower Cost– With no shipping, handling, printing costs, eBooks are 50-60% lower than their print counterparts. Eco-Friendly – Requires no trees to create them. Storage – Content can be accessible from your phone or device at all times. Portable Library – Unlike paper books, all your books can be accessed on one device. 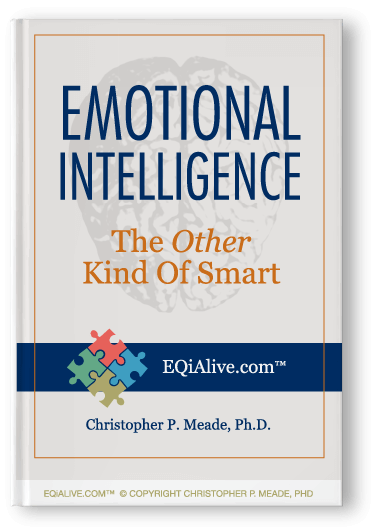 Carry your intellectual resources with you at all times.